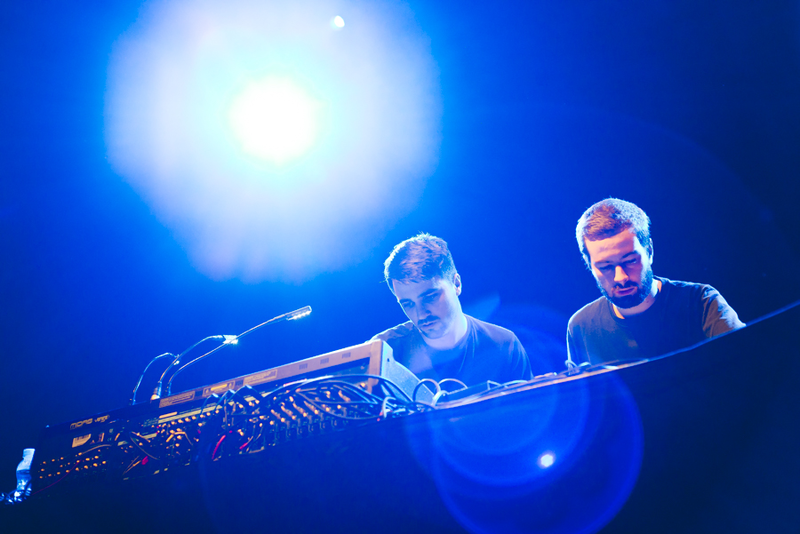 Ahead of their Native Instruments Session panel and live set at AVA London on Friday 16th March, we caught up with Dark Sky to find out how their live show works, their inspiration behind the setup and why you should always have a plan B. What drew you to performing live over just DJing? What was your first live setup and what was the ethos behind it? “Our first live setup was more 'band' orientated, featuring the vocals of Cornelia and our front of house engineer Nigel Glasgow. The initial concept was to create a playing environment for each of us that was as stable as possible but also flexible enough for each of us to improvise or rearrange the structure of the original tracks on the fly. The beauty and curse of this was that we often ended up coming up with loads of great ideas in rehearsals that we'd incorporate into the live show but sadly never made it onto the finished records. How has the setup evolved over time? 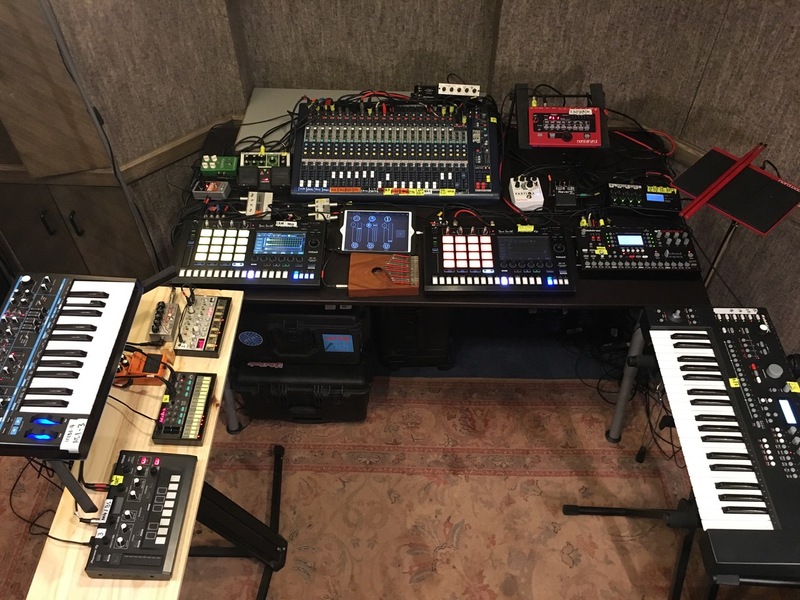 “After finishing our second album we decided to rebuild the live show from the ground up, replacing the traditional drum kit setup with two MPC 1000s and exchanging the laptop for an Elektron Octatrack. We no longer have a front of house engineer or vocalist and Carlo left the band. Everything is now routed into a Midas analogue mixing desk on stage. 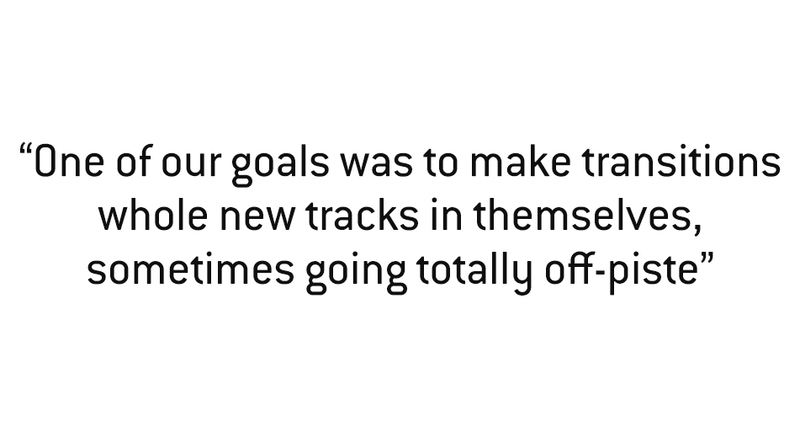 “Losing the laptop was big step for us and involved a lot of time spent getting to know the Octatrack inside out. It was quite a steep learning curve at first but once we embraced the Swedish workflow the results we yielded were worth it. We also added a couple new guitar pedals to our repertoire, and an iPad running our favourite MIDI and audio apps. Whereas with the first live show setup we would stop playing at the end of tracks we now try to keep a continuous stream of audio running throughout the show focusing on transitions between tracks. These are the points in the live show that excite us most and really lend themselves well to improvisation. What have been the main challenges with playing live? “When building the second live show from scratch, we had the romantic idea that we were going to try and play every single hit and sound, exporting every element into folders for each track. After doing some tests early on we quickly realised that we didn't have enough hands. From that point on, we simplified things by grouping and exporting tracks from Ableton into 'bass elements', 'drum elements', 'music elements' and 'FX/atmos elements'. By consolidating these tracks the live show became way more streamlined and much easier to navigate, freeing up our hands to focus on the playing and tweaking. 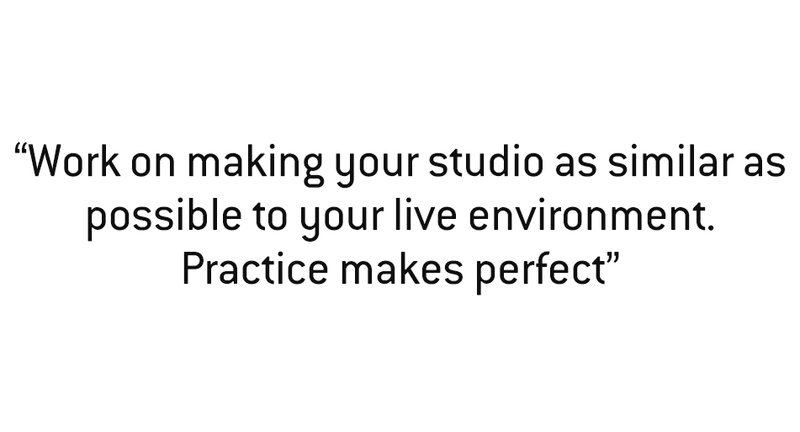 “Another stumbling block that we faced was how to go about translating a pre-recorded track that has been professionally mastered into a live environment. This is an issue that your always going to face when performing live, currently we use an FMR ‘Really Nice Compressor’ on our master outs to help glue the whole mix together. But from our point of view, the key is to try and capture a vibe and embrace the fact that you are performing live so not to worry about it sounding exactly like it is on the finished record. This ultimately adds to the performance making each show unique. What’s your live setup now and how does it work? “In terms of MIDI routing, the ERM is the backbone of the show, sending separate MIDI clock streams and start-stop information to the two SP-16s, the iPad and the Octatrack. One of the great features of this box is how it allows you to shuffle and move each stream forward and backwards in time, which is really helpful if one device decides to drift out. The Octatrack MIDI out is then connected to a Kenton Thru 5 box, which allows us to control up to five devices via MIDI from the Octatrack. On certain tracks we will play keys live whereas on others we program the riffs onto the Octatrack and send them to devices to be tweaked live. “The MIDI Out of the SP-16 and the Bass Station keyboard then goes into a Kenton MIDI Merge box, which allows them both to control the Volca FM or the Pioneer AS-1. We also connect a Nord Drum 2 to one of the SP-16s allowing us to layer the original drum hits with sounds from the Nord. “Audio-wise, we're using the individual outs on both the SP-16s that are broken down into 'kick’, ‘snare’, ‘hats’ and ‘music' – all these outs go into the Midas desk, which features EQs allowing us to mix between all these really easily. We've exported and mastered each individual drum hit from our tracks and reprogrammed them onto the drum machines giving us the flexibility to switch up the beats on the fly. After these eight channels we have drum loops and bass audio coming from the Octa, followed by the Volca, Bass Station and AS-1 on their own channels. On the stereo inputs to the desk we have the Analog Keys and the Octatrack 'music elements'. “The iPad and kalimba are feeding into the AB inputs on the Octatrack where we've assigned different effects to the crossfader. Each bank on the OT is a different track and in that bank we have different patterns, which we can trigger as and when. The neat feature about the Octatrack is how it allows you to fire off a really long one-shot sample but also run a 64-step MIDI sequence on top of that one-shot sample. What would you change about how it works? 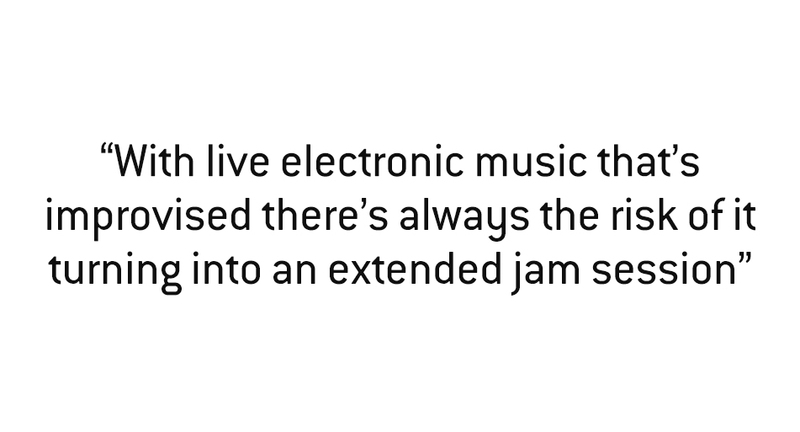 What do you think is behind the increased focus on live performance in electronic music? What advice would you give to someone looking to expand their sets into live? “Sit down with a pen and paper and work out how each track in your set would work best live. Start by picking out which elements would lend themselves well to being played live or to be featured as more of a background element. Consolidate the sounds in your tracks into 'Groups' to make your set more streamlined. Ensure that each piece of hardware plays its own specific role and doesn't overlap too much. Or even better, try and find gear that’s multi-timbral and serves more than one purpose. Think about breaking your setlist down into 'beginning', 'middle' and 'end' segments. This will allow you to build a narrative and keep the listener on their toes.